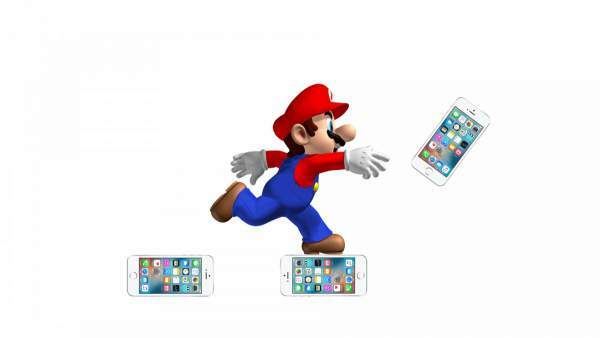 Tim Cook not only described the hardware details of the new Apple products but also highlighted the Mario Game, which has been made available for the iPhone users. Tim invited the creator of Mario, “Shigeru Miyamoto” on the stage to give a live demonstration of the game on iPhone. Talking about the 80s Super Mario game, it is an endless run, which somehow matches with the recent Temple Run game. In the single player mode, there are the same 80s Mario levels which aim at collecting as many as possible coins in a bounded time period. The level gets completed after reaching the flagpole at the end of the level within the bounded time period provided. The SM Run has numerous levels and the world, out of which six of the worlds were shown during the demonstration of the game by Shigeru on the Apple event. While the multiplayer mode i.e. the Toad Rally, allows the player to compete against each other in terms of collecting the coins. The function controls of the game are the tap on the screen makes the Mario jump and there are keys for forward movements and hitting the enemies. And the third mode helps the user to create their own mushroom kingdom by using the coins which the player has already collected. The single player mode would be out soon at a premium price, so the iPhone users need not worry about the in-app purchases. The game would be available to download and play free for a short period of time and after that the user need to make purchase in-app payment to have complete access to it. It simply means that the ios user would be able to enjoy a part of SMR free of cost and wold have to pay for the entire content of the game. Moreover, as per all the notifications received it has been confirmed that Super Mario Run release date is December 2016 and the price at which it would be available are not fixed yet.